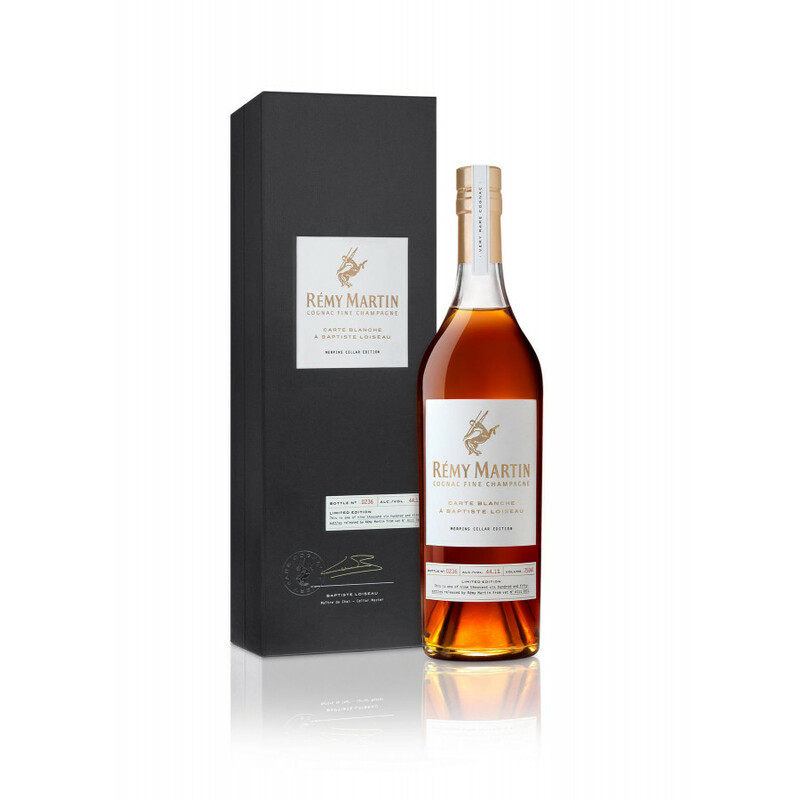 As the name suggests the Remy Martin Carte Blanche a Baptiste Loiseau No2 Merpins Cellar Edition Cognac is the second in this rather unique series. The cellar master of Remy, Baptiste Loiseau, has been given the honorable task of creating Cognacs ‘carte blanche’ – in other words, he has no restriction placed on him whatsoever in making his magic. However, what Remy Martin has told him is that these Cognacs are to “reveal the quintessence of the Remy Martin Style”. He certainly managed this with the 1st in the series, and with this delight he’s continued to prove why he’s the youngest person to ever hold such a prestigious position in one of the largest Cognac houses. This is a strictly limited edition, with only 9650 bottles being produced. 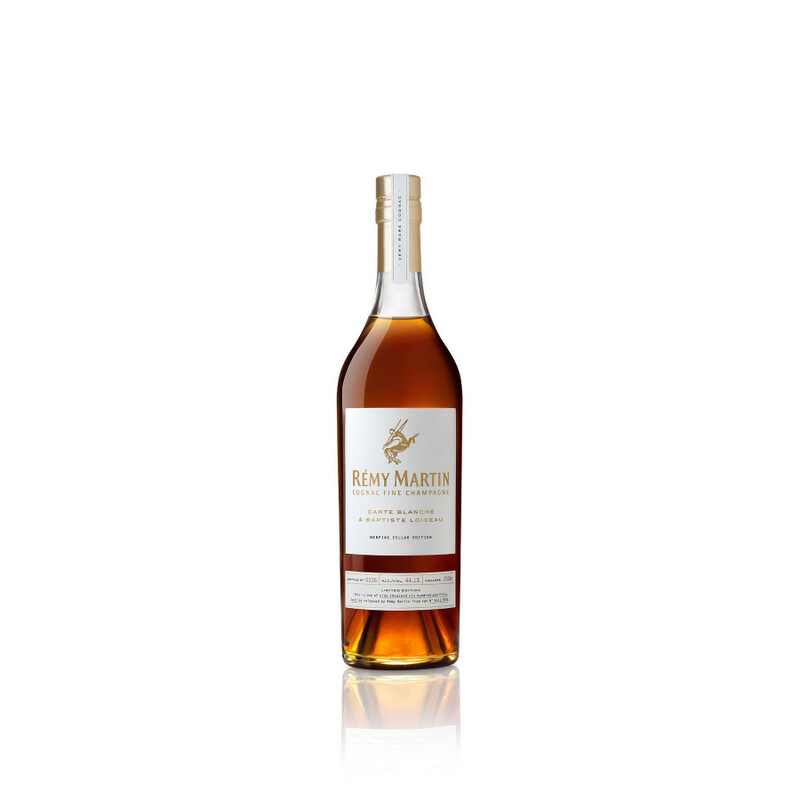 It will certainly appeal to anyone who enjoys a spicy, forthright Cognac that combines power with amazing smoothness and the perfect marriage of flavors. It’s a Cognac that will certainly take pride of place in the very best of collections. It would make ideal gift or perhaps an investment opportunity for the fine liquor collector.